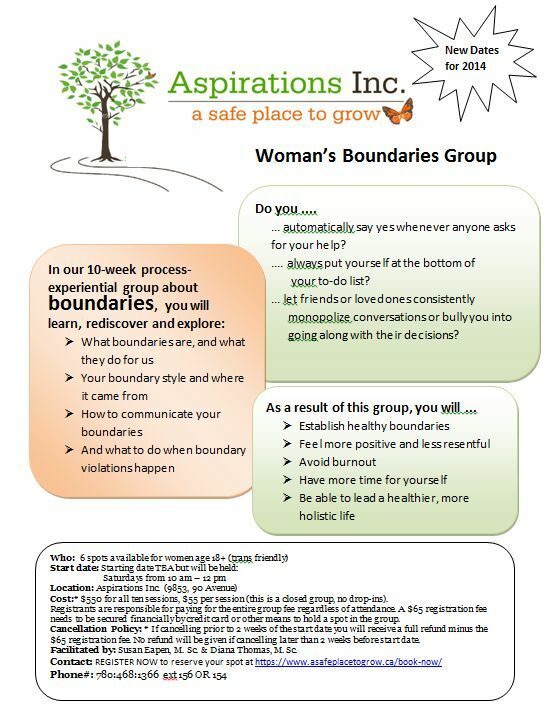 Learn to establish and maintain healthy boundaries to better your lifestyle and create more time for yourself in our 10 week group course. We have yet to set a start date, however they will be held on Saturdays from 10-12pm. So take a look at the poster above and BOOK NOW to reserve your spot before they’re all taken!